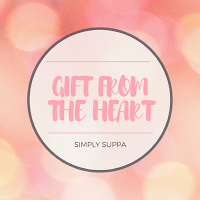 Each year, I devote a few posts in my Holiday Gift Guide to "Gifts from the Heart". These tribute gifts are special for so many reasons: they honour a cause, they raise awareness, they give to others who may be less fortunate, and they reinforce the true meaning of Christmas. This year, Mastermind Toys is encouraging shoppers to Tie on Some Goodness and help support ME to WE all at the same time. There are a few ways you can do this. When purchasing a gift, top it with a Rafiki Bracelet ($10). The funds raised from the sale will help provide resources to ME to WE for communities in need. The Rafiki Bracelets come in a variety of styles (Featured below: the Bestie Bunnies (most popular), and new for 2017, the Goat Winter Critters Rafiki and the Raccoon and Squirrel Winter Rafiki). New this year, Mastermind Toys is also selling ME to WE Chocolate Gift Boxes, made with Equador's prized national cacao bean -- Fino de Aroma. Each bar helps create fair-wage jobs in Ecuador and the proceeds provide educational resources to communities in need. Lastly, you can literally "tie" on this goodness by adding a $2 gift tag to your present. Your child's gift will double as a gift of education for kids in Canada and around the world. Skip the fancy card and purchase a tag with a purpose. For more information on this initiative or to view the products in the collection, visit mastermindtoys.com.